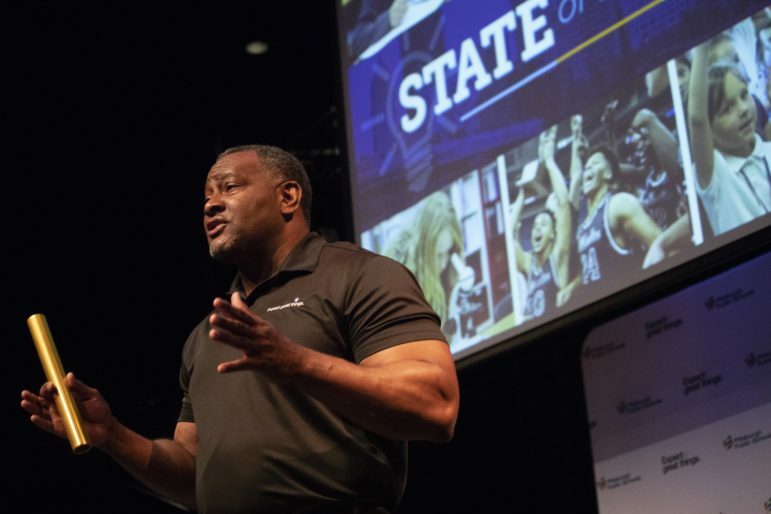 The Pittsburgh Public Schools announced that after a three-month investigation by CSI Investigative Risk Management there is no conclusive answer as to who signed School Board Member Kevin Carter's name to a district letter supporting the city-county Amazon HQ2 bid. The letter said the district would "commit" to providing tax incentives to Amazon if the company chose Pittsburgh for its second headquarters. In November, Carter insisted the signature was a forgery. In a statement, the district said the investigation was "unable to ascertain who may have signed Mr. Carter's signature." 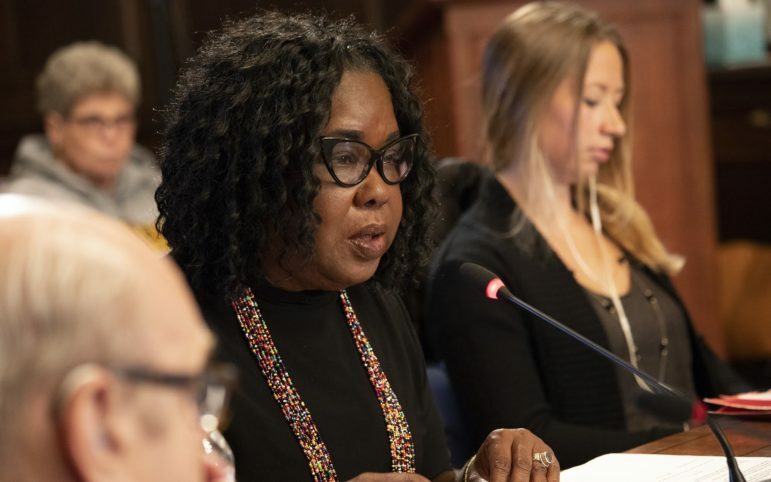 CSI's report concurred, stating: "Even though all potential relevant interviews have been conducted and investigative leads exhausted thus far, at this juncture the results are inconclusive." But as a result of the investigation, district solicitor Ira Weiss has recommended that letters of support receive the same level of review by board members as contracts. As part of that process, only the board president would have authority to sign letters of support. Weiss also said he is implementing a log for all board documents his office receives. 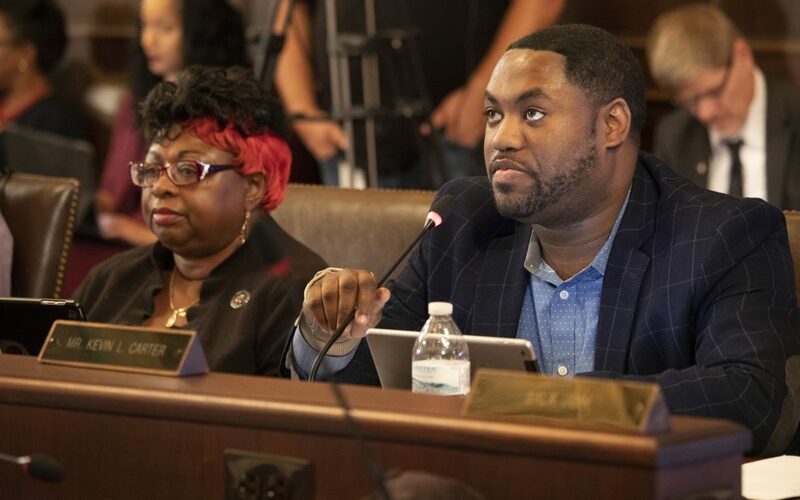 Pittsburgh Public Schools has hired an investigative firm to determine who signed school board member Kevin Carter’s name to a letter from the district that became part of the Pittsburgh region’s bid for the new Amazon headquarters. District solicitor Ira Weiss said the investigative firm CSI, located in Monaca, will investigate Carter’s claim that his name was forged on an Oct. 11, 2017, letter from the district that declares support for providing tax increment financing [TIF] and other financial incentives to Amazon should the firm choose the Pittsburgh area for its new headquarters. Last week, Amazon announced it would be splitting the HQ2 site between New York and Arlington, Va. Two days later, local officials released the bid, including the school district letter, to the public. That’s when Carter says he learned a signature of his name was included. He posted messages on Facebook and made a statement at Tuesday’s school board meeting insisting that he did not sign the letter and doesn’t agree with the contents. He also vowed to find out who signed his name and to possibly seek criminal charges against them. “This is not OK. You don’t sign a public official’s name to a document,” Carter said in an interview with PublicSource. He posted on Facebook a copy of his actual signature up against the signature on the letter to prove that they don’t match up. Board president Regina Holley said she believes Carter’s claim that his signature was forged. Superintendent Anthony Hamlet signed the same letter, and he is not denying it. Hamlet could not be reached for comment on Wednesday. She said the board did not approve the letter and did not know it was included in the Amazon bid until the details became public. “I’m quite disturbed; however, I do know that they wouldn’t have gotten far without the board’s approval on any of those items (mentioned in the letter),” Holley said. Carter said he sought out the letter last week when he heard it was included in the region’s Amazon proposal. As he read it, he said he was angry that it appeared the district was promising TIFs and other incentives to Amazon without consulting the school board. Then, he said, he got to the bottom of the letter and saw his signature next to that of Hamlet. “I got the letter by email. Maybe 30 seconds later, I responded ‘Is this a joke?’ I have never seen this letter and I certainly never signed this letter. I asked to make it a topic of discussion at the next executive session,” Carter said. The issue was discussed at the Tuesday executive session of the board, but Carter said he got no answers. He said he announced during the public portion of the meeting that someone had forged his signature and that he would work to find out who did it. Phil Cynar, spokesman for the Allegheny Conference on Community Development and the subsidiary that coordinated the region's Amazon bid, said someone in the district wrote the letter, but referred other questions to the district. “Specific questions about the letter — who wrote it, who signed it, who provided it — would have to be addressed to PPS,” Cynar wrote in an email. Joanna Doven, a communications consultant and former spokeswoman for Mayor Luke Ravenstahl, helped the district work with the Allegheny Conference on the region’s bid. She said Wednesday she had no involvement with the letter from the district and that she didn’t know who wrote it. Weiss said he was aware of the letter, which district officials worked on along with city officials. Weiss said it’s his understanding that when Hamlet signed the letter, Carter’s signature was not there. Weiss said he does not know the chain of possession the letter took from when it left Hamlet’s office until it reached Weiss’ desk with Carter’s signature on it. He said that will be the focus of the independent private investigators. He’s uncertain how long the investigation will take. “We would like a resolution on this as promptly as possible but we want a full review,” Weiss said. Weiss said city officials wanted Carter’s signature because he serves as chair of the business and finance committee of the board. Weiss said he forwarded the letter to the city for inclusion with the bid. This situation is prompting the district to change protocol on outgoing letters sent on behalf of the district. Weiss said the process has been informal but, going forward, the board will review all such letters before they are sent. Weiss, however, downplayed the contention that the letter made promises about financial incentives.